Do you want to continue cycling even when the weather is bad outside? With an indoor bicycle trainer, you can! Regardless of whether it is rainy or scorching hot outside, you can continue to ride your bike with an indoor bicycle trainer. 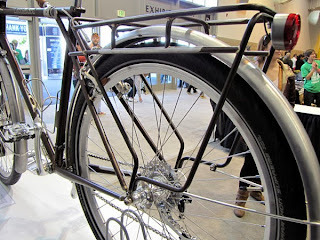 Of course, it is not as fun as riding a real bicycle outdoors, but it is better than not being able to cycle at all. Also, while riding the bicycle on the bike trainer, you can still read a book or watch TV if you want to. With a bike trainer, there is no excuse not to ride a bike as the bike is ready to ride anytime! It is also very useful if you want to learn how to clip in and out of SPD shoes, as you can pedal realistically and practice clipping in and out, without any risk of falling over. 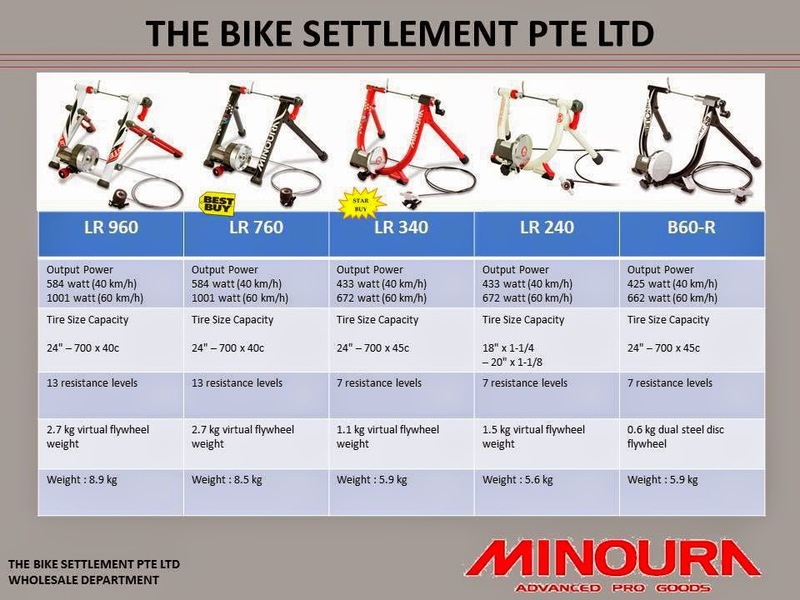 There are a few companies and brands making good bike trainers, but I decided to get the bike trainer from Minoura as it is not too expensive, and they have a distributor here (The Bike Settlement). The selection is quite decent too. Some bike trainers available from the local distributor. The Minoura LR340 is a good choice as it is not too heavy, making it easier to set up and move around. This LR340 bike trainer can also be used for smaller wheels if an adaptor is installed, as seen from the online manual. Unboxing the items. The box is actually quite empty. The steel QR axle that is supplied. It is important to use a steel QR, as the normal aluminium QR is not able to properly support the weight of the bike and rider when mounted in the bike trainer. The small wheel adaptor that is used to position the roller unit, such that it can be used for small wheeled bikes. This is the Minoura MagRiser 3, which is a fancy name for a plastic block that raises the front wheel to make the front and rear wheels level. It will usually be supplied free of charge with the bike trainer. This is a magnetic bike trainer, which uses magnetic forces to generate the resistance. Also, the bike tires should have a smooth tread to prevent damage to tires and roller. Back to the manual, an additional installation step is required to install the small wheel adaptor. 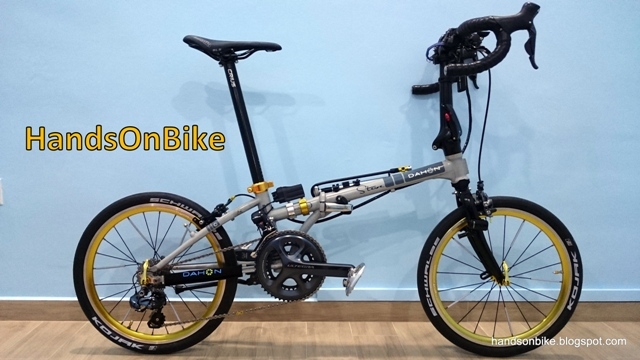 The bike which I planned to use on the bike trainer is the Dahon Vitesse, as it is rarely used nowadays. However, it does not have a completely smooth tire tread, so will it be usable? Mounted the bike onto the bike trainer! The roller should be adjusted such that it compresses the tire by 3-4mm as instructed by the manual. Despite the MagRiser 3 front block, the front of the bike is still lower than the rear, as the MagRiser 3 was designed for full sized wheels. After testing out the bike trainer, the first thing that I noticed was that there is a humming sound that gets louder the faster I pedal. I realised that this is due to the tires on the Dahon Vitesse, which is not a completely smooth tire. It is a Schwalbe Marathon Racer, which is a fast and yet comfortable tire. It has treads which causes the humming sound when it rubs against the roller of the bike trainer. This humming sound is too loud, so much that it can be heard even behind closed doors. Also, the humming sound will drown out the TV sound which makes it impossible to hear the TV when riding the bike trainer. The fastest and easiest way to solve the problem is to swap the whole bike! Instead of using the Dahon Vitesse, I mounted the Dahon MuEX bike onto the bike trainer. This bike is also not used that often, and is usually ridden only if I plan to fold the bike and take the MRT. The Dahon MuEX uses Schwalbe Kojak tires which are completely bald, and thus should not generate a humming sound. Despite using the small wheel adaptor, the adjustment knob for the roller position is not quite able to reach the plate. This means that I cannot compress the roller properly onto the tire for good contact. In order to extend the bolt, I placed an axle nut onto the end to extend the bolt by a few mm. This gives it sufficient length for adjustment of the roller position. As the tire only contacts the roller in the middle of the tread, there will be a ring on the tire that will be completely smooth. This area will be completely clean, and will even start to squeak against the roller after a while. The roller will also slowly wear out the tire, generating small bits of tire debris that will be deposited around the roller. This is normal and is the same as if you ride the bike on the road. With the Dahon MuEX mounted on the bike trainer, the humming sound is gone. This makes the bike trainer much quieter during operation. By setting up the bike trainer such that it faces the TV, it is possible to ride the bike trainer and watch TV at the same time. There is no excuse not to ride the bike anymore! Is the noise acceptable ? suitable for HDB environment ? What if I use with superlight carbon frame designed for race ? will it crack ? Thanks for the post.I'm interested to try it out! No problem using in HDB, as long as you use smooth tires which will prevent the humming noise. Also no problem using with carbon race frames, as long as you use the steel QR axle. Hi Steve, great site here. Can I check with u do I need to change back the skewer if I want to dismount the bike from the trainer to ride outside? Thanks in advance! You can continue to use the steel skewer for riding, no problem. Hi Steve, with this trainer and a Z-adapter installed, can it mount a foldie of tyre size as small as 16"? No that would not be possible. Even with 20" wheels, it is already barely at the limit. Any smaller wheel will not be possible. Hi Steve, what size of nut did you use to extend the roller further? I can't remember the size, but the nut is not threaded onto the bolt. I only put it on at the end like a cap. Hi Steve! Any chance you can send me the specs of the adapter? Will have mine machined as the Minoura I purchased doesn't include the adapter. Thanks! I no longer have this bike trainer and so I don't have the part for measuring.